Poynt takes customer data and privacy seriously, with 24/7 fraud and tamper detectionsolutions, end-to-end encryption technologies, and full PCI compliance. 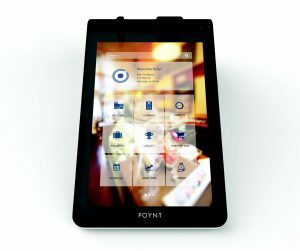 The Poynt Smart Terminal seamlessly integrates into any kind of POS. Our Android-based app marketplace provides easy access to customized solutions so merchants can manage their businesses the way they want. 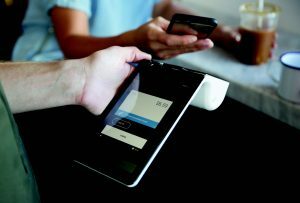 The Poynt Smart Terminal is built to process all payment methods, powered by an operating system that stays up-to-date in real-time, and a SDK that evolves as business does. 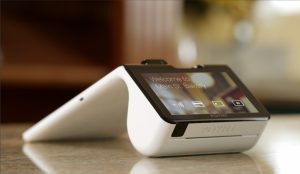 The Poynt HQ app gives merchants access to transactions, trends, insights, and customer information on both smartphone and computer. They can pinpoint loyal customers, optimize inventory, and easily search, manage, and export sales data.